Dielli2 | Private articles, language and history analizes. Private articles, language and history analizes. It is hard to find a nation or a race which has not changed during history; it is hard to find at least one modern nation who has remained exactly the same pure as their ancient grand-grand parents, but it is even harder to find a nation or a race which differ so much culturally and ethnically from their pretended ancestors. This nation is called Modern Greeks. Ironically, it is exactly the elite of the above nation, notoriously stressing out their pure and unaltered identity, although millennia distance this new nation from their ‘wannabe the same’ ancestors. About 200 years ago, a new state was proclaimed, bearing the mysterious ancient name, Hellas. The new Hellenes began now to make every effort to bring about evidences of connections to their lost and forgotten ancestors. These ‘evidences’ although scarce, superficial and often speculative were intended to effect a junction between two very different realities, one lost and virtual but romantically suggested from some western scholars, the other so naked from anything great or noble. Not being for political reasons, even the most enthusiast of the Ancient Greeks among the western scholars would not have suggested the modern pre-revolution population having any tie to them. A nation is usually a group of people, taken hand by hand for reasons like religion, language, origin or blood. When it comes to Ancient Hellenes, if we trust the old accounts about them, they were obviously not people of the same pure ethnic origin, but surely they had the same religion. This is the same to the modern Hellenes, what made these people of different ethnic background joining one-another hand by hand was by no means their common ethnic “Greek” origin, nor was their common “Greek” national conscience, but their religion, that was substantially different from the Ancient Greek one. The idea that Modern Greeks speak a continuation of the Ancient Greek language offers a wide field for improvements, and is just an illusion. The western scholars seem to have exaggerated the ties that connect Modern Greek language to the Ancient one, which by no means are natural. The modern Greek language clearly seems to be the continuation of the spoken official Byzantine Empire language, which came into being during the rule of Byzantine emperor Heraclius in 620 AD, since the knowledge of it remained the only possible way to learning. That was the only path through which the Byzantine Empire and Church were applying respectively their political and religious authority and power. So the term “Greek”, used so often during the Byzantine Empire lifetime(and after that) is not a term used to define an ethnic Greek, a descendent of mythical Achilles, Pericles or Leonidas, but one used toward a person who had political or religious powers, or/and a person who is not illiterate, who at least know how to write and read his name in the only written language available. For as long as the last 200 years the new nation of the Greeks is creating myths and making claims, based only on mythical stories of the past, now on become like a sport. 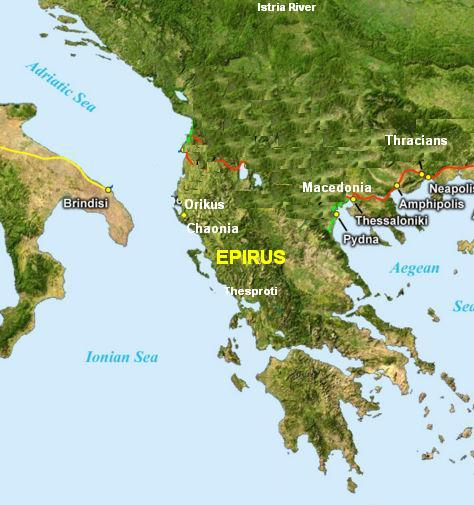 Greece starts at Oricus and the most ancient part of Greece is Epirus. This is a quote, pretended to be a statement of Ptolemy, the geographer. Today this quote is used from many kinds of internet rats, but about a century ago, had been used as an official argument from the Greek state representatives, to include within Greece, the lands which starts at Orikus, or otherwise called Epirus. What is a myth and what does it serve? A myth is a narrative based usually on a false story which can not be used as a replacement of history, but sometimes the myth might be considered a distorted account of a real historical event. The myth does not differ much from a folktale and usually the boundary between them is very thin. 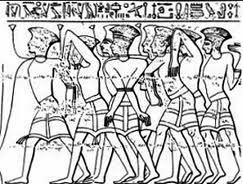 A myth must not be used to reconstruct, however in the ancient society of the so called “”Ancient Greeks”” a myth was usually regarded as a true account for a remote past. Surprisingly this ‘tradition’ was inherited to the Modern Greeks as well. They never loose the chance to use the myths and the mythology of a remote past and to pose them as their real ethnic history. This job is being done combining the ancient myths with the ones already created in the modern era. Now let’s take a look at two Greek myths, respectively one ancient and one modern, while our job is to prove that even these myths are respectively hijacked or created to join realities not related to each other, but unfortunately propagandized belonging to a real history, the history of the Greek race. There is a new nation, selfhypnotized to be the same and unaltered with an ancient one, bearing the same name, and for that reason often believed to be such, whose “prominent” sons are struggling to promote their “noble and genuine” descent. These “devoted sons” are using any mean, despite being true or false, they are combining and connecting any reliable or abusive information, linking in one whole account, weak evidences or unrelated stories and often combined with their own desires is what they use . This is made possible through the speculation, subjectivism, untraceable presumption or thesis, and always ignoring alternatives and evidences which go against their interest. These guys are now called Modern Hellenes or Greeks, their country is being called Modern Greece, borrowing the name of an ancient entity, which nobody knows what was representing, or even if really existed or not, but “its sons” are doing their best, to convince the opinion and especially themselves on the truthiness of their fairytale, or in the best case close to very vague. A map that had found the way through the pages of a respected encyclopedia website Wikipedia, which unfortunately is full of unreliable and speculative unfiltered information, loosing its main goal to inform the public in an impartial way and always showing the alternative outlooks, which telling the truth is not missing in regards of this subject. THE “IGNORANCE” OF THE ‘QELESHE’. It has always been an interesting case in the scholars works, studying words with an unical meaning, whose cognates in other languages do not exist, even inside the same languages families. Let’s see one of them . The word ‘qeleshe‘ in Albanian is unical, like it’s unical the object it represents. HELLENISM AND ITS NEAR PAST. You get plenty of definitions about this word; it’s been labeled: an “esthetic movement”, “the Greek people and their culture”, “the academic study of ancient Greece”, or even “the proper use of the Greek language”. Studying the definition of this word is worth considering since is only by refuting doing that it could be used on developing a far fetched propaganda, whose Hellenism is the foundation. The strange thing is that you never get a definition what Hellenism really is: an ideology. 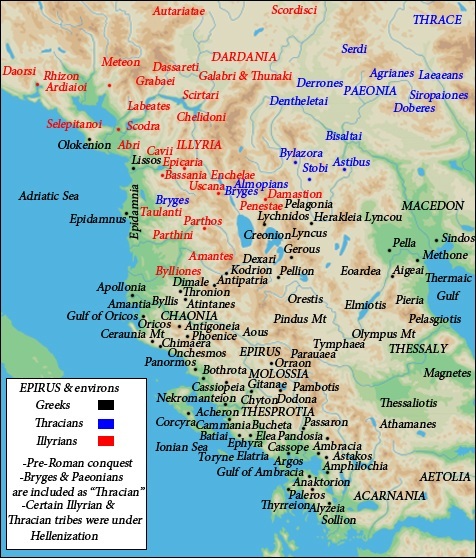 The Hellenism embodies a hypothesis (now on “widely accepted”) for the natural connection between mysterious Ancient Greek race and today’s population of the so called Modern Greeks. This ideology was created around 18-19th century with the sole purpose: developing a new national conscience over people who were living in a territory “academically” described by some western scholars as the land of the “Ancient Greeks”. Many people have tried to explain the meaning of the word Pelasgoi or Pelasgian. We already know the inhabitants of Pelasgia ( Argos capital) were called Danaioi(Argives) were named after their king Danaus. In the historical sources, the Danuna are known by many different names such as Denyen, Danunites, Danaoi, Danaus, Danaids, Dene, Danai, Danaian. These were the same people who attacked Troy and wrongly considered by the historiography as Hellenes(Greeks). Danaus, or Danaos ( Δαναός), was a mythological character, twin brother of Aegyptus and son of Achiroe and Belus, a mythical king of Egypt. The myth of Danaus is a foundation legend of Argos, one of the foremost Mycenaean cities of the Peloponnesus. In Homer’s Iliad, “Danaans” (”tribe of Danaus”) and “Argives” commonly designate the “””””Greek””””” forces opposed to the Trojans. Evidently Argeoi, Pelasgjoi, Danaidai, Mykenaoi, Argives, Pelasgos, Pelasgjikos, Pelasgjia, Argolis are interchangeable for each other. They represent the same people and land, the Pelasgians of Peloponnesus originally from Egypt. Since Ventris “”deciphered”” the Mycenaean Scripts nobody was interested anymore to develop some thorough study in the already “known” languages like for ex. 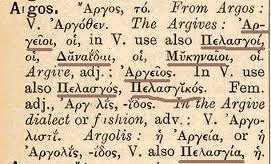 Ancient “”Greek””. Now people who study grammar and orthography of the Ancient Greek language is very familiar to the diacritic marks placed above the initial vowel in different words. The linguists already know the meaning of them like ā or ă placed above alfa. According to the linguists they are used to show either a long vowel or a short one. They explain also some other strange marks meaning: “the signs placed above the initial vowel indicate the presence of an aspirated sound or the absence of an additional sound”. They are called breathing. In other words breathing always occur before the first vowel sound of a word, and are either hard or soft. In the old Attic alphabet Η or heta represented the h-sound. In the Ionic alphabet, the same symbol represented a vowel, eta, because the Ionic dialect had lost aspirations and had no need for heta. In considering whether the Modern Greek language is a natural descendant of the Ancient one, I have complete confidence in replying in the negative. I have many reasons thinking this. Although Modern Greek language is often credited or it often ‘credits’ itself, being a Hellenic dialect continuously spoken in the Greek family hearths, generation after generation, it doesn’t look to me it really happened. It was another place where this language has been continuously spoken: the Church. Yes it’s been spoken from a limited number of middle class orthodox believers Ottoman families , of some high ranking Christian Church clergy and a very small minority of Christian educated [in the best case since the Byzantine Church artificially adopted the Koine (and not the Attic, like some people like to say) language for liturgic purposes. Other than that no one spoke Greek before Greece was a country . The Koine itself was a semi artificial language, and was spread to the East mostly for liturgics and political and comercial purposes, and never represented the original language of the Hellenes, like it never represented the Hellenes themselves. THE TROJAN WAR AND THE “PURITY” OF A FAMOUS RACE. Our modern understanding of the “nationality” is a complex one and we are not certain if we could apply the same toward the people of antiquity. However we will follow a simple rule: During all the times every person is borned with a nationality. This rule must be valid for the people who in Classical Era were called Hellenes. We will start right there, Classical Era. It has been widely accepted that the classical Hellenes were not an uniform body of people, many nationalities were forming the “nation” called Hellenes. THE GOD WHO READS HIS LESSONS. The confusion created in certain terminology especially those used in theology and religion is leading the linguists in the wrong direction sometime. One of them is the word GOD. God Our Saviour (No. 198) The identity of the Saviour is often confused among the Christians.The bible seems to identify both Christ and God as the Saviour. What about the Ancient “”Greeks””.